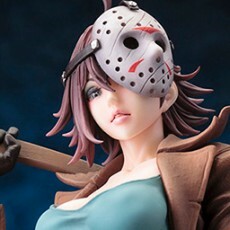 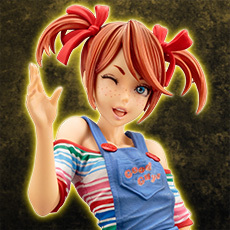 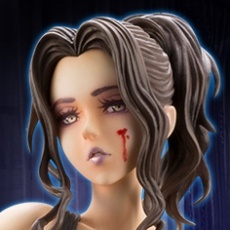 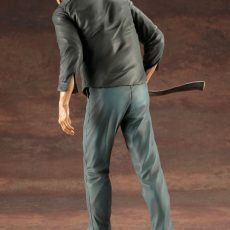 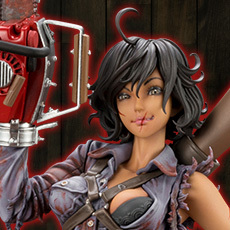 Kotobukiya is taking a huge step into the world of horror, bringing you a classic film slasher direct from Camp Crystal Lake. 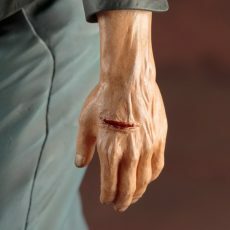 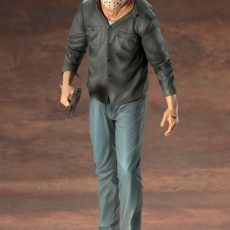 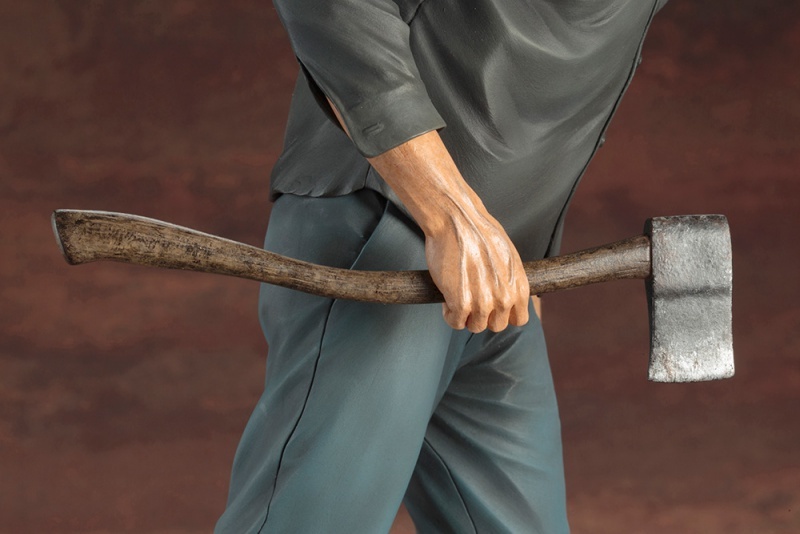 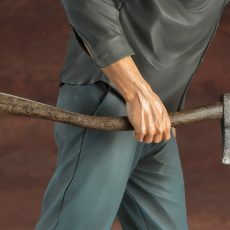 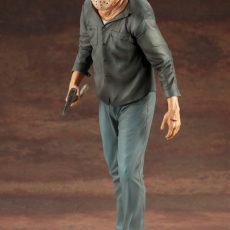 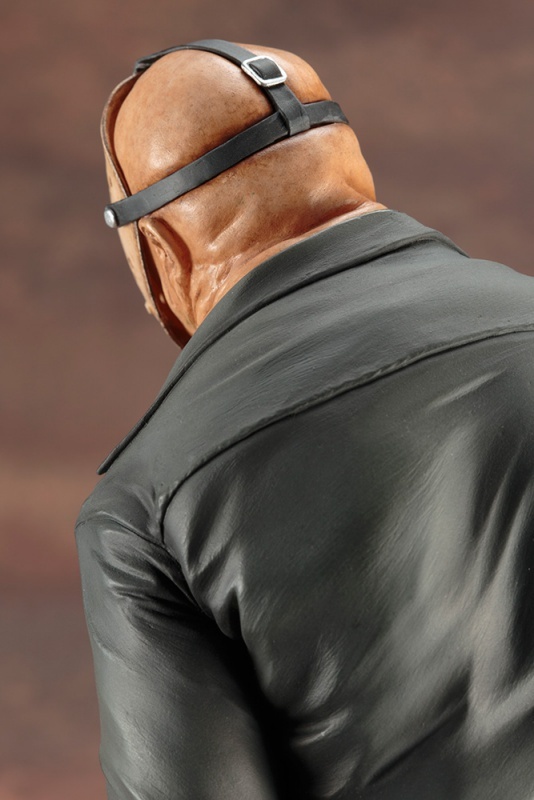 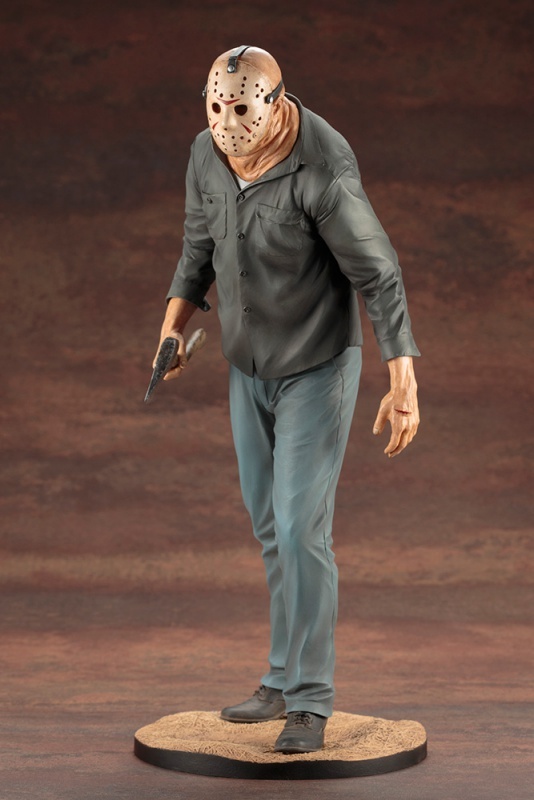 The first in a new series of elite scale ARTFX Statues and stepping right off the screen from Friday the 13th Part III is JASON VOORHEES! 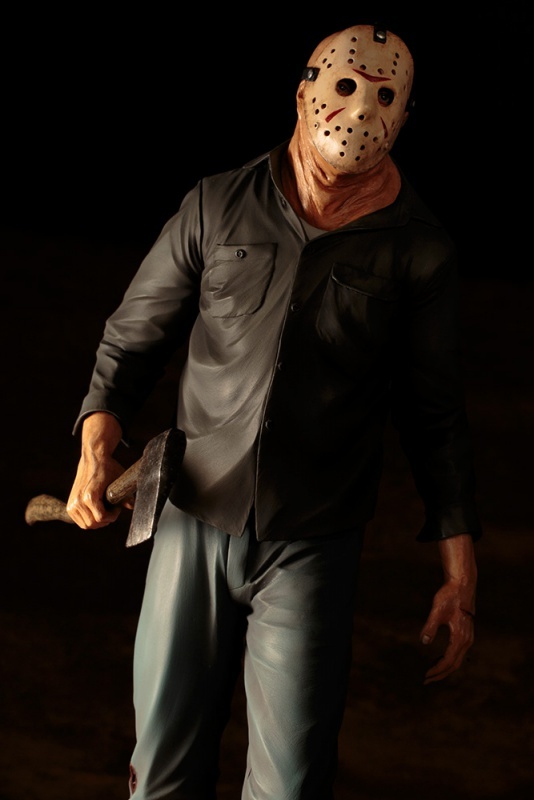 After Pamela Voorhees prevented the summer camp’s triumphant re-opening in protest for her son’s apparent death there years earlier, the now adult Jason returns to cause mayhem and havoc of his own. 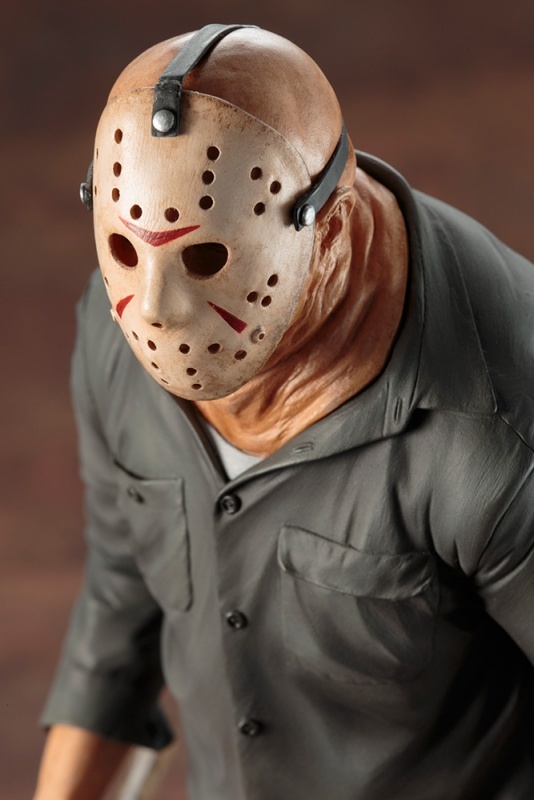 In Part III Voorhees makes his way to a nearby homestead and sets upon the teenagers staying there, and it is in this film that he finds and dons the hockey mask that has made the character so iconic. 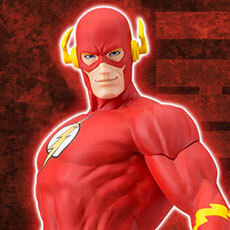 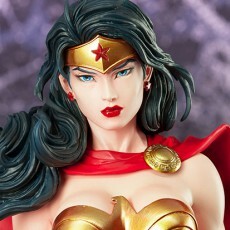 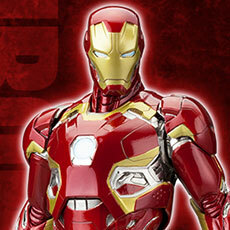 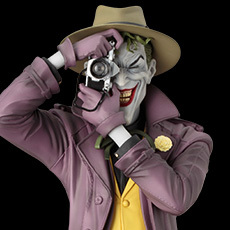 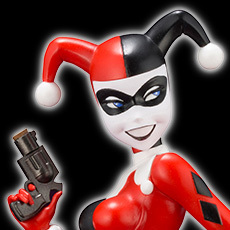 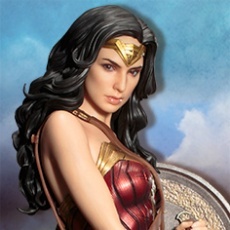 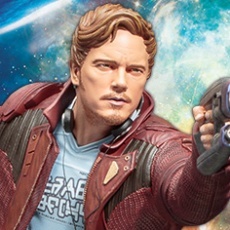 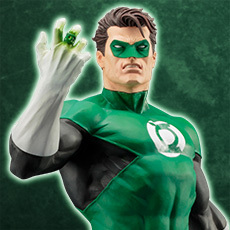 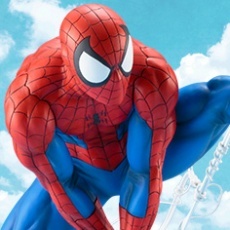 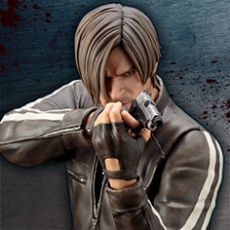 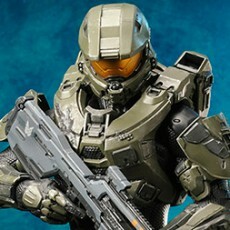 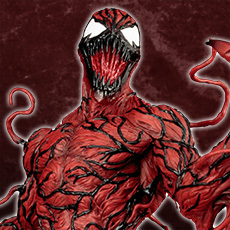 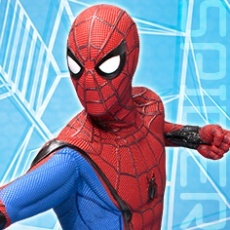 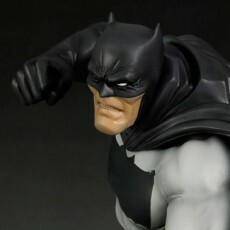 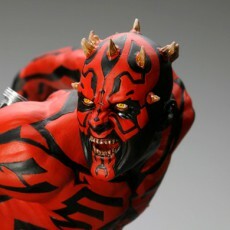 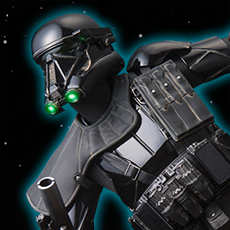 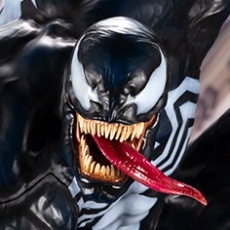 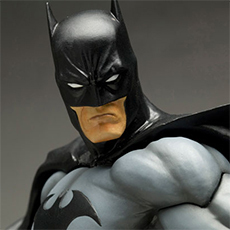 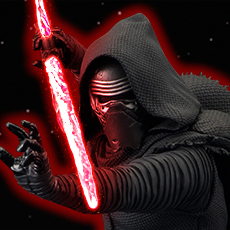 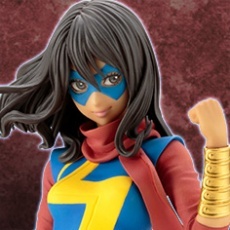 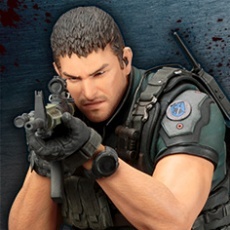 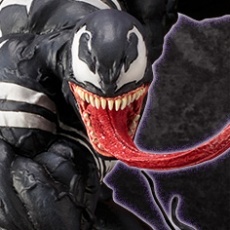 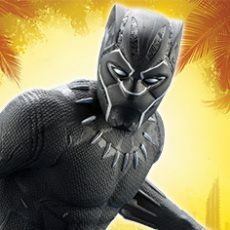 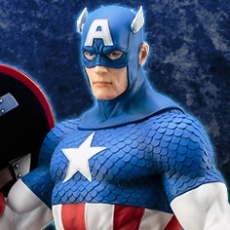 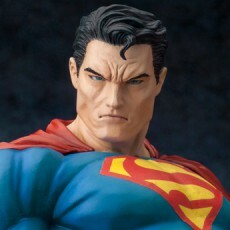 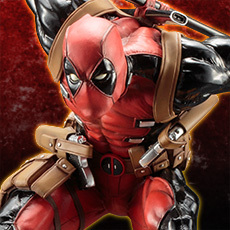 That’s the look captured here in stunning ARTFX quality! 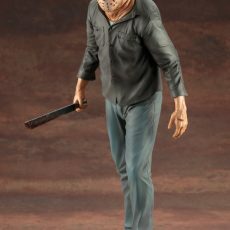 An unstoppable engine of destruction on the rampage, Jason Voorhees prowls straight ahead and woe betide anyone who gets in his way. 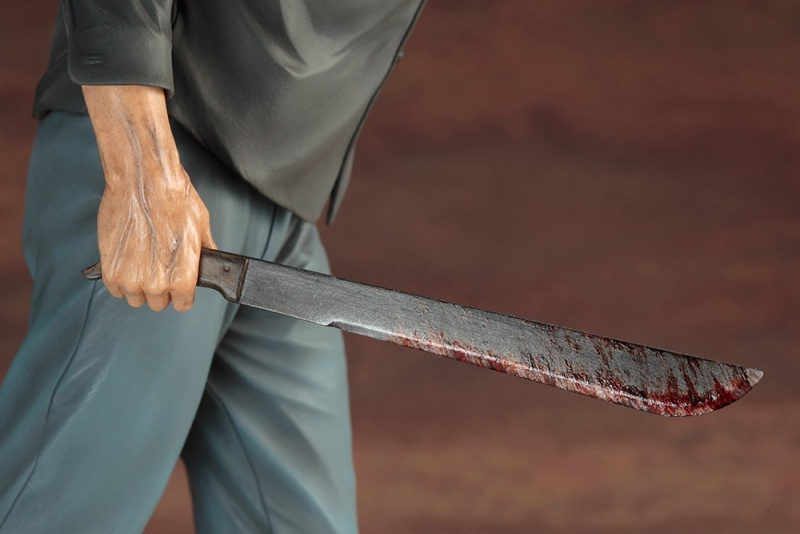 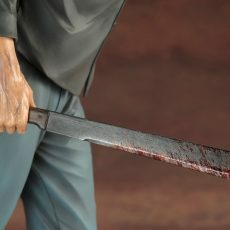 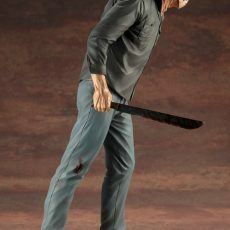 The slasher wears bedraggled and ominously ill-fitting garments including black shoes, a black shirt, and blue trousers marred by a bloody wound above his right knee. 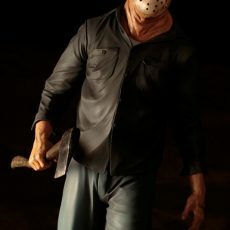 A hulking creature, Jason leans forward as he walks, his long arms hanging low at his sides. 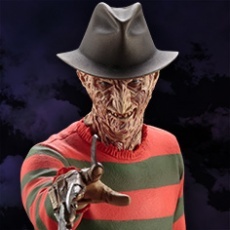 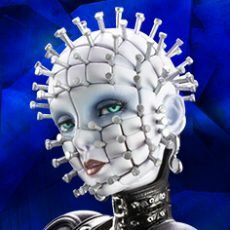 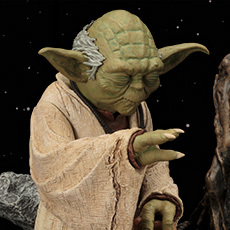 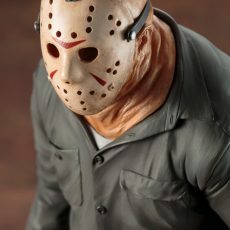 The horror icon has a grossly distended and flabby neck, and the exposed part of his head is bald with tiny and malformed ears. 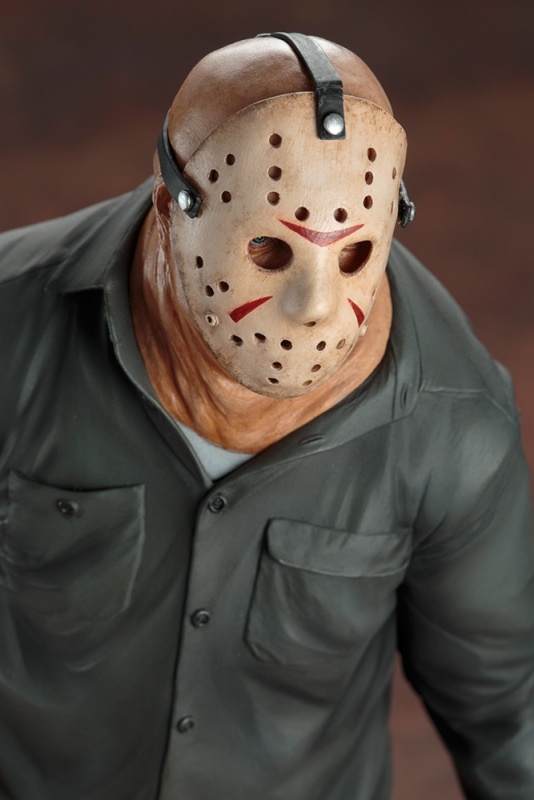 Of course, his face is covered by the frightening white hockey mask with red accents held on with gray straps and silver fasteners. 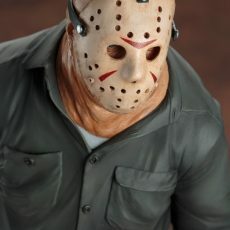 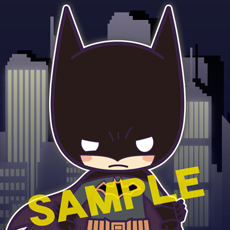 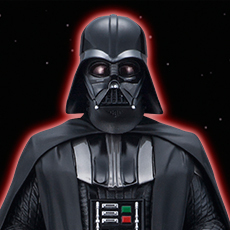 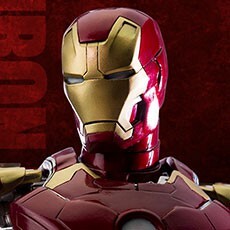 No eyes can be seen peering out of the darkened holes of the mask, which only heightens the creepy factor. 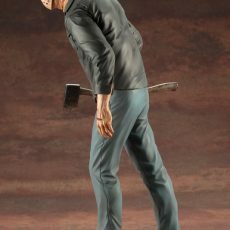 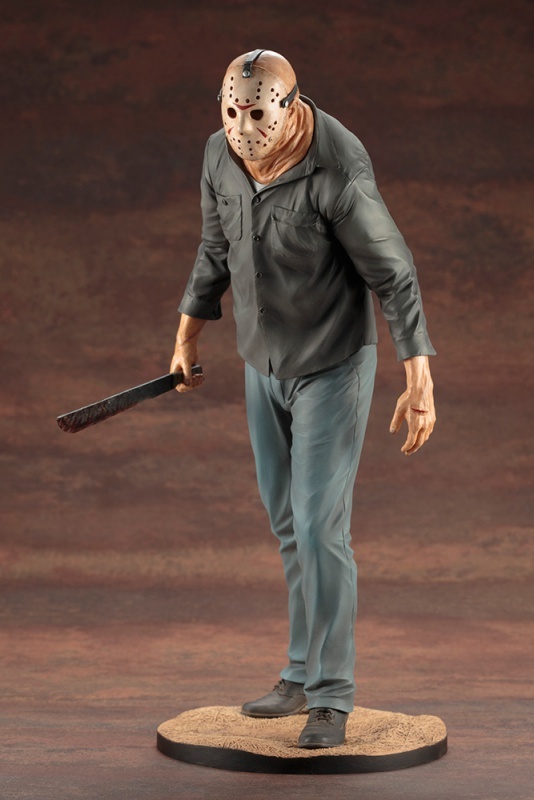 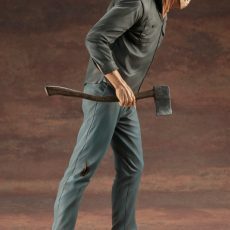 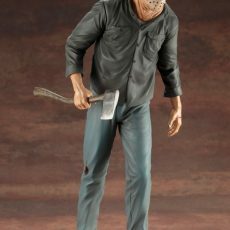 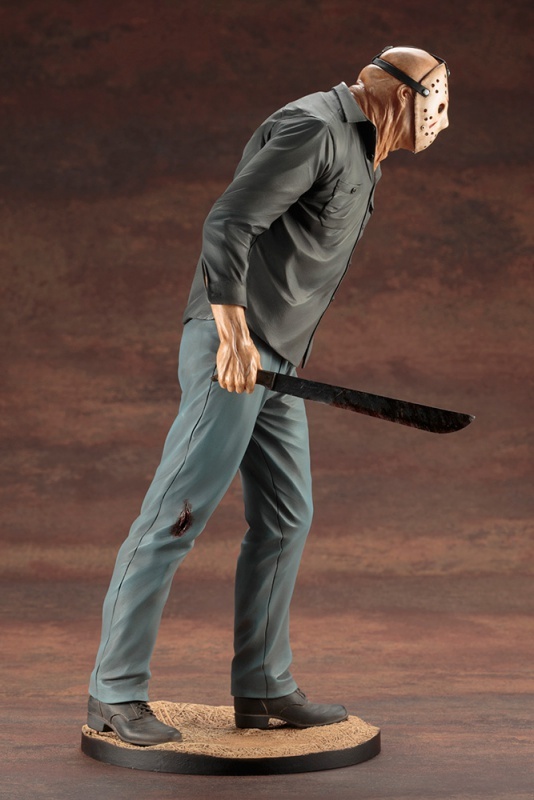 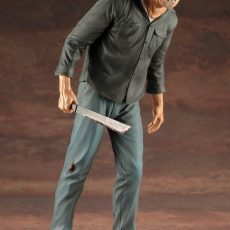 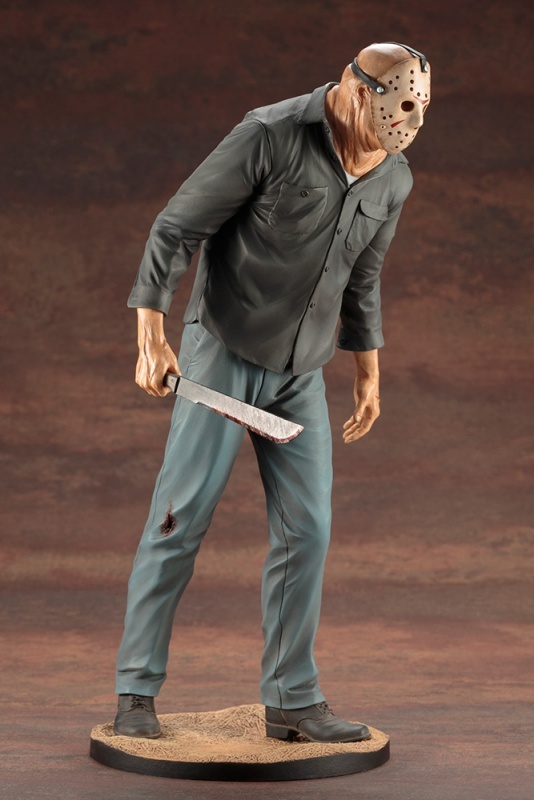 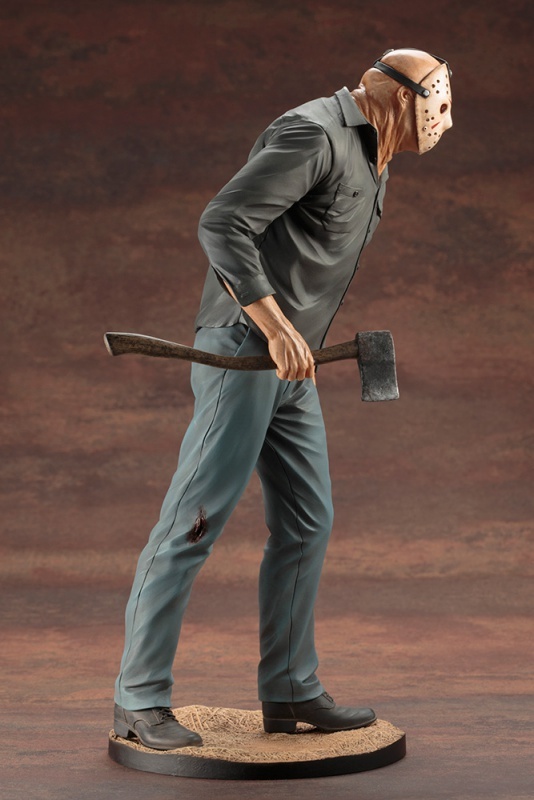 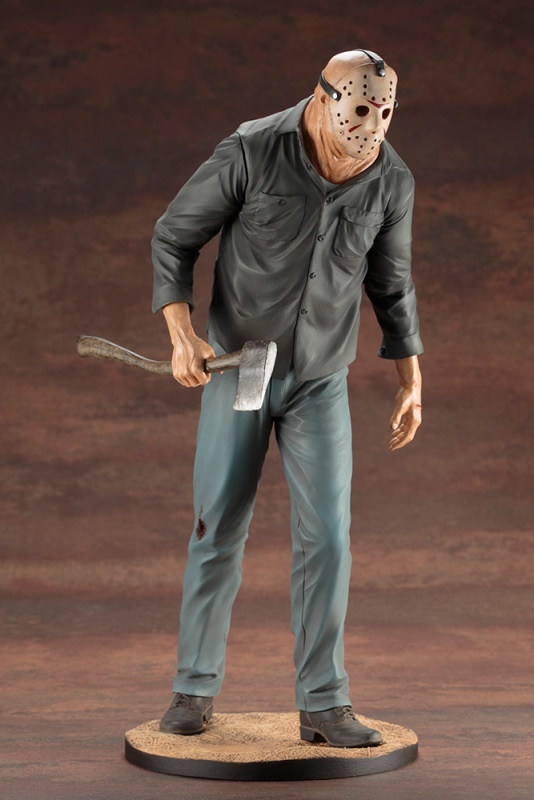 Finally, with interchangeable parts you can display your Jason with your preferred weapon for dispatching teenagers: either a machete or hatchet! 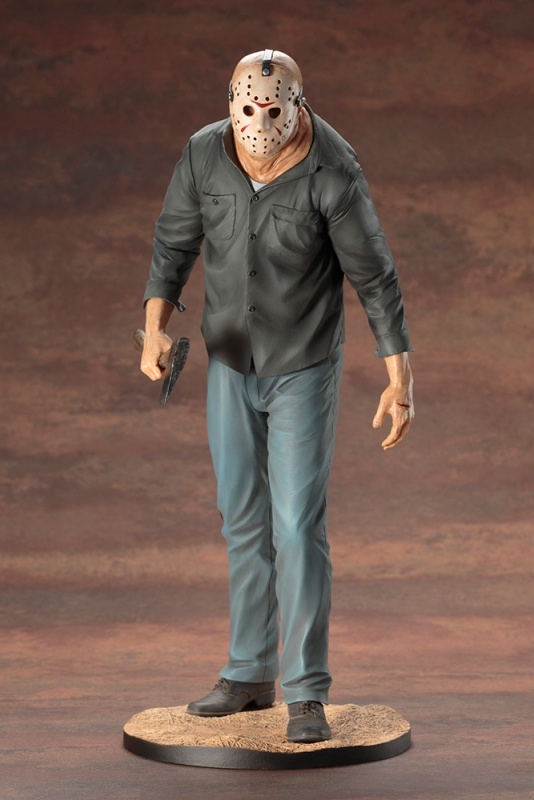 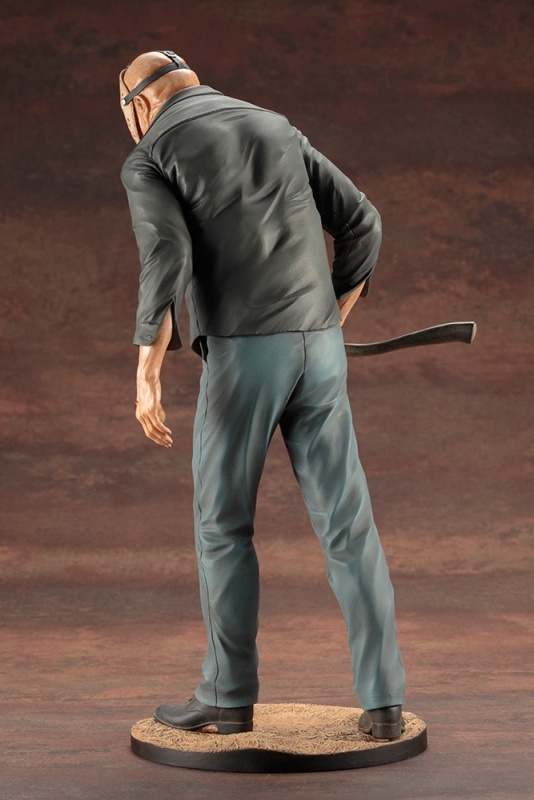 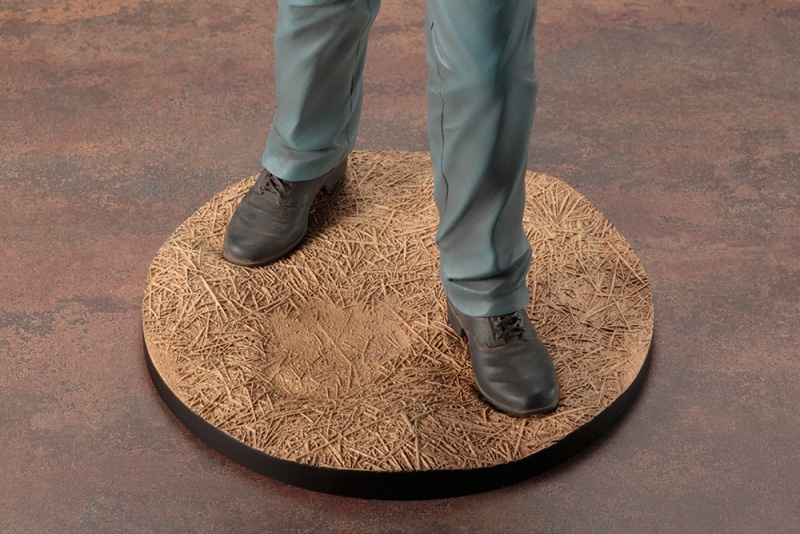 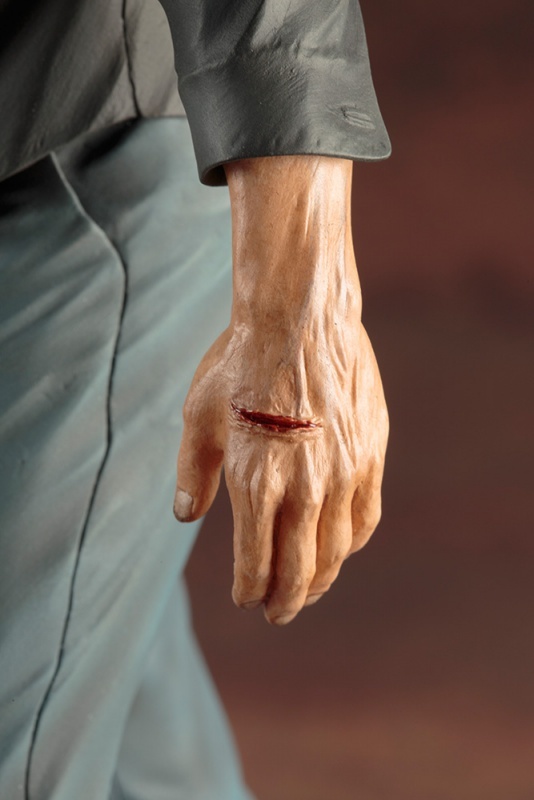 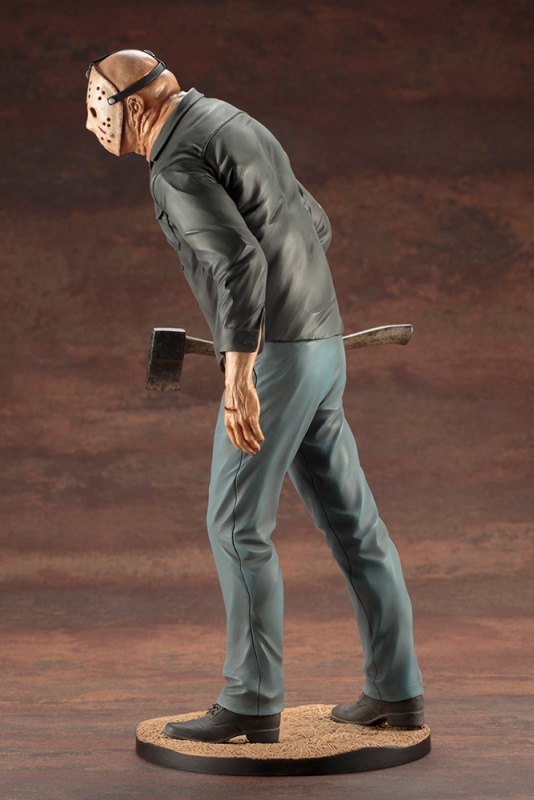 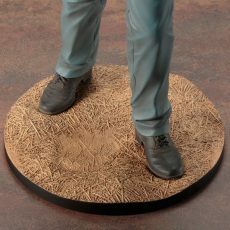 Sculpted by Naoya Muto, Friday the 13th Part III Jason Voorhees stands a hulking 11 inches tall (1/6 scale) on a detailed terrain display base. 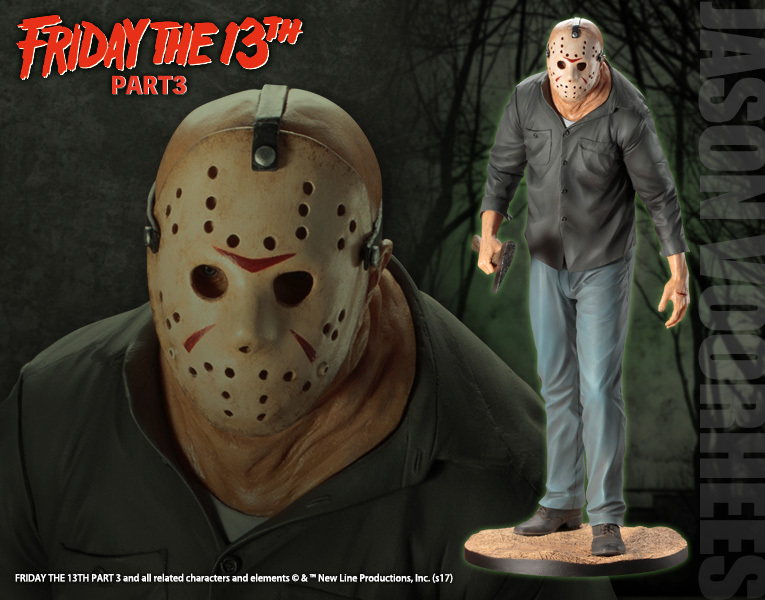 The Camp Crystal Lake slasher is perfect for fans of the horror franchise!